How happiness can be defined? For some they’re happy with the materials things, achievement in career and being with family; but how about those children deprived of material things, underprivileged education and a family. What is happiness? They have pains and struggles for most of the time and happiness is found in their own world together with the people they are with. In a rare occasion, their happiness is added when we reach out to them, letting them feel they are loved, and this rare occasion happens when there is an outreach program. Organizing an outreach program can be very tasking and being a volunteer can be stressful too, especially when there’s a lot of crowds. By joining an outreach program can also be rewarding, you can see the eyes of children seeing their happiness at that moment that is beyond compare. 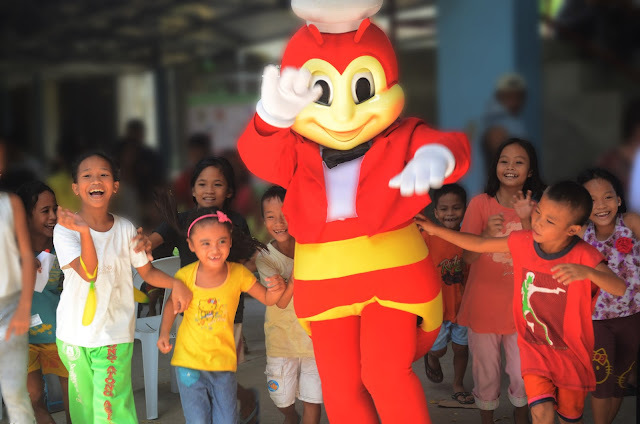 I remember that moment when Jollibee came to join us, the kids went wild and run towards Jollibee, and you could see their excitement of seeing him in person. Everything went fast and you just have to grab and click just to capture that wonderful moment seeing these kids so happy. As much as I enjoy using a camera, whether it’s a point and shoot or a DSLR, there are compact things that I always carry around all the time and one of it is my smart camera phone. Light as it is, smart camera phones are getting better and I wonder what’s in store with Huawei P9; it is similar to other phones but it got a package that one can’t resist. With Leica, its lenses are engineered with dual-camera that gives dramatic results and a powerful array of unique functions. It is good to use a smart camera phone without the use of filters. With this smart camera phones features, you can’t go wrong to capture more moments of happiness at the palm of your hands.